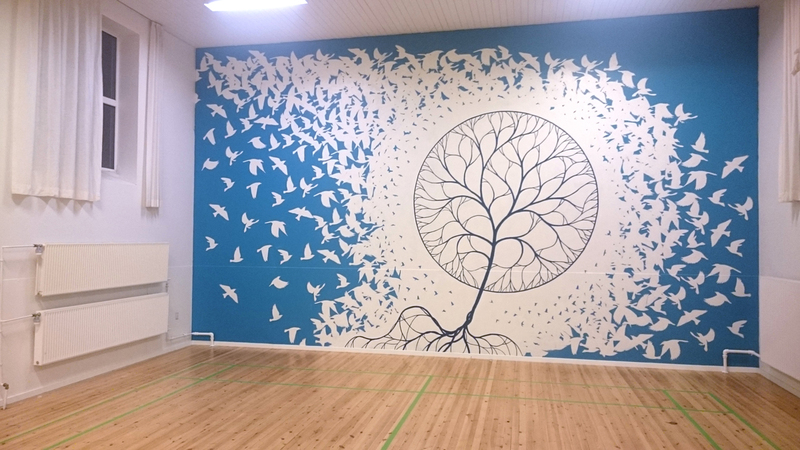 This mural was painted in a gym just north of Roskilde, Denmark. A branching tree structure in a white, swarming flock of birds – background becoming foreground in an optical effect. 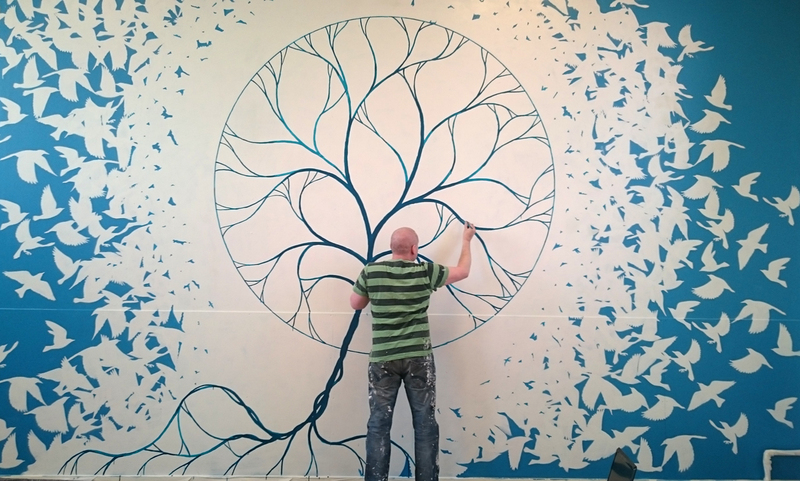 I painted the branching, round tree structure and Jonas Molbæk painted the birds.